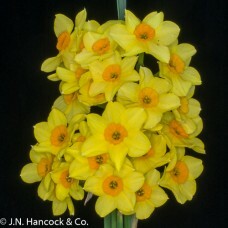 Daffodil flowers with a sweet scent. 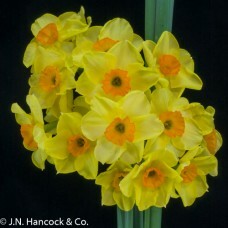 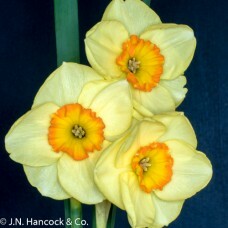 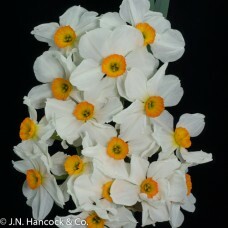 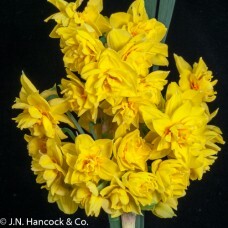 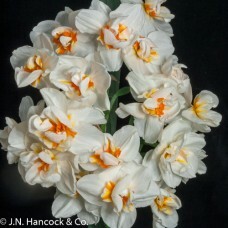 Strong growing multiflowered daffodil. 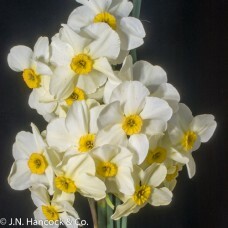 Up to a dozen large white flowers per stem with pale-yellow c..
One or two scented florets per stem with sulphur-yellow, round perianths, and a small yellow cup w..
A most attractive, bunch flowered bloom; each primrose cup is edged bright red; yellow petals. 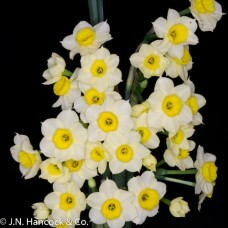 Sweet.. 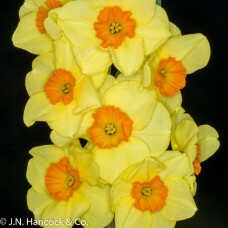 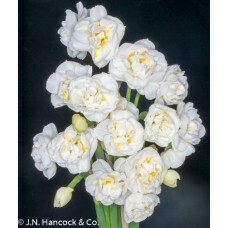 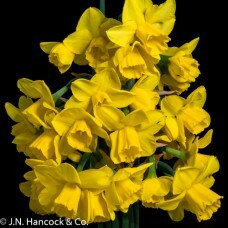 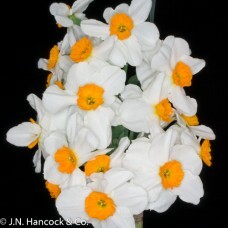 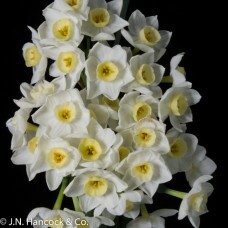 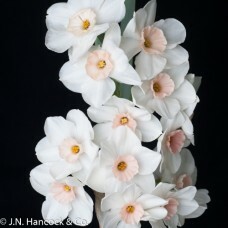 Attractive bunch of 3-4 dainty blooms, each with white petals and beautiful soft yellow cups. 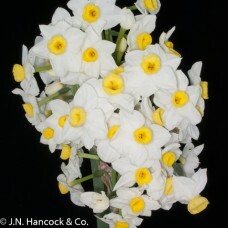 Tall, .. 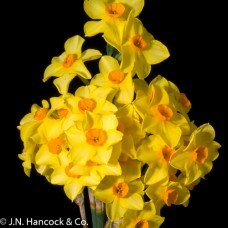 Bright and distinctive richly perfumed variety; up to three rich golden-yellow flowers per stem. 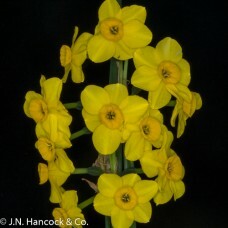 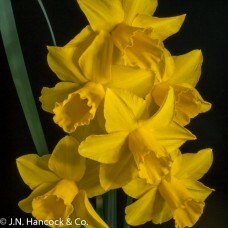 The..
Long-lasting show variety with one to three dainty blooms per stem; good, clear mid-yellow perianth ..
Old style jonquil, larger self-coloured flowers of golden-yellow. 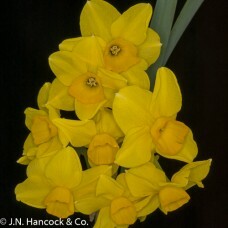 Strong grower. 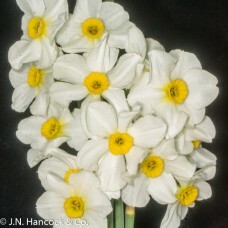 Mid..